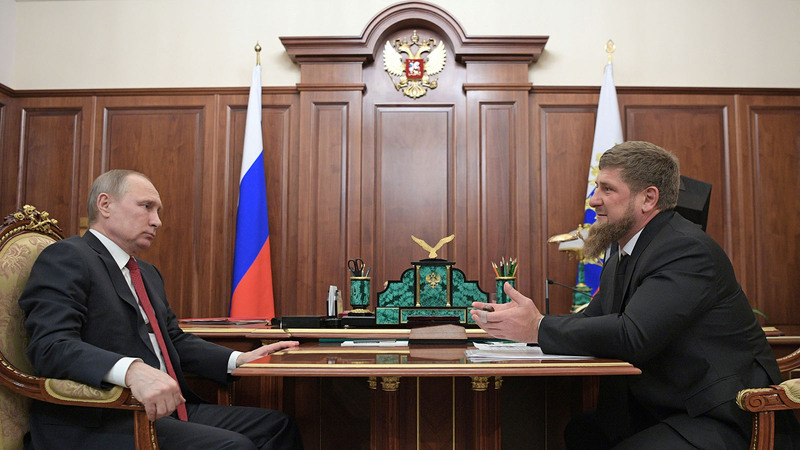 As reports continue to paint a terrifying picture of the attacks on gay and bisexual Chechens, a bipartisan group of representatives have released a resolution condemning the violence while holding Russia and Chechen authorities accountable. U.S. Representatives Ileana Ros-Lehtinen (R-FL), Eliot L. Engel (D-NY), Darrell Issa (R-CA), David Cicilline (D-RI), Ed Royce (R-CA) and Chris Smith (R-NJ) introduced H. Res. 351, condemning the violence and persecution in Chechnya, which has been going on at least since the story broke in early April. HRC has called on the U.S. government to condemn these heinous crimes and grant victims asylum -- and U.S. lawmakers are now putting pressure on the Russian President Vladimir Putin to investigate. HRC will continue fighting against these brutal acts. We have our #EyesOnChechnya and these barbaric human rights violations must end. The #EyesOnChechnya campaign is a partnership of HRC and Human Rights First. Click here to learn more about what you can do to stop these atrocities from happening.